Magnum opus Let Us Pray (at over eleven minutes) has an air of soundtrack, the drama escalating as Atzmon caterwauls almost in Doppler effect to the encouragement of Chris Higginbottom’s blazing drums and Yaron Stavi’s reliable bass propulsion, plus sweeping, piano improv and monolithic chords (stirring vivid memories of the electrifying atmospheres of OHE gigs). 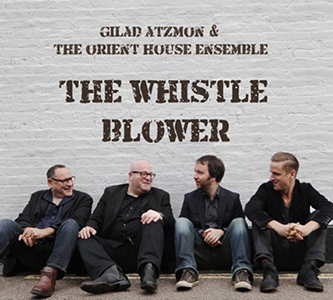 The homespun though subtly disquieting charm of The Song, expressed through the leader’s accordion, is sufficiently melodic as to proffer lyrics; and the edgy longing of To Be Free reverberates indeed to freer ensemble playing, Atzmon again reaching incredible heights. 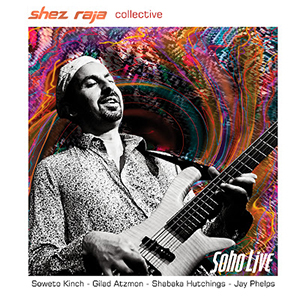 Launching at London’s Pizza Express Jazz Club on 12 March, the album is released on and available from Atzmon’s new publishing outlet Fanfare Publications (and presumably all good jazz retailers) on 23 February. Extensive tour dates listed below – a show not to be missed, proven by this live video from The Hideaway – Gaza Mon Amour.